The people of Sudan have earned the world’s admiration and respect. Their bravery, persistence, unity, and discipline have achieved what for so many years had seemed impossible - the end of Omar al-Bashir’s decades-long, brutal presidency. It has been especially moving to see the prominent role of Sudanese women, many of whom suffered so deeply under Bashir’s rule, in the mass movement that brought Sudan to this moment. But the struggle for Sudan’s future is far from over. 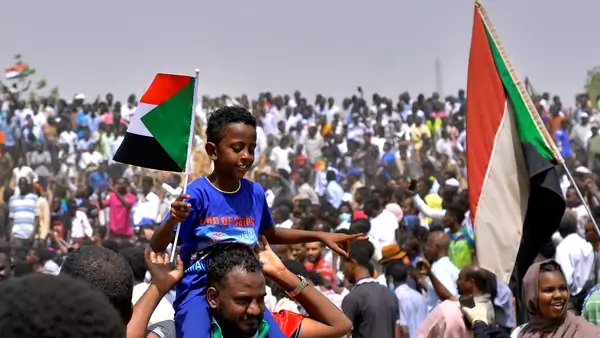 Now more than ever, the Sudanese people need international support to push for real change in the country, not just a shuffling of personalities at the top. Right now the military has seized control, and canny securocrats are working to protect their privileged access to power and wealth. But these same people opted for pushing Bashir out rather than once again massacring their own citizens because they know that there is no resuscitating Sudan’s economy without significant international help. The United States and others should deliver clear, specific, and credible messages about what they would be willing to do to help Sudan recover. At the same time, they must make it plain that Bashir’s ouster alone is insufficient, and no one should be left with any delusion about continued counterterrorism cooperation being the sole determinant of American support. Informed by the demands of Sudanese civil society, and in concert with other donors and regional powers, the United States should articulate the transitional milestones and political conditions that must be met to gain access to each tranche of a recovery package that will address Sudan’s massive debt and help jumpstart the sickly economy. These conditions would include, but not be limited to, a commitment to respecting the civil and political rights of the Sudanese people, a transitional authority that includes civilians from outside the long-ruling National Congress Party (NCP), concrete steps toward greater budgetary transparency, and a clear timeline for and commitment to genuinely free and fair elections at the end of a transitional period. The statement from the African Union Commission Chair rejecting a military government is encouraging in this respect. International cohesion is important to shut off avenues for hardliners to go forum shopping. Undoubtedly the officers who have seized power in Sudan will paint themselves as necessary bulwarks against chaos and instability, or extremists with a taste for terrorism. The international community must not allow them to define the options for Sudan so narrowly. We must remember the courage of the Sudanese citizens, who clearly see a whole world of possibilities.